Databases can help you or your organization to gather, store and process information about your clients, about the current operational problems or shape the future strategy. Business information management has become effective with the help of database-driven solutions which include features like data retrieval, storage and manipulation processes. 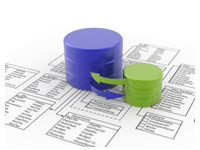 A database is developed with the help of several database models some of which include hierarchical model, network model, and relational model and object model. The construction of databases requires construction of tables with all relevant properties, design and development of the forms for data entry, for evaluation, letter generation and reporting. Appropriate databases can help save valuable time, money and resources which are spent to manage data. 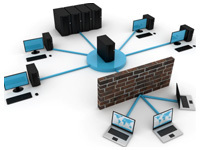 A number of powerful tools are available to help you build databases and database applications. ExpertRating is a trusted name in online testing and certification with over 200,000 certified professionals in over 60 countries in more than 200 skill areas. If you do not apply a systematic, structured approach to the use of the tools to build databases, you will probably produce systems that fail to meet user needs. Many projects bog down or are never completed for lack of a disciplined approach to development. These set of courses will guide you step-by-step through all the phases of a system development project to guarantee that the resulting product will not only work as it was designed to work, but also that the design truly responds to user needs. The ExpertRating Database Management and Programming courses will make you familiar with terms and Techniques like enterprise data modeling, information systems architecture, information engineering, functional decomposition and prototyping.